Earlier this month the Financial Times reported that millions of pounds of pension tax relief had been incorrectly arranged following errors made by tens of thousands of employers. This got me thinking that if some employers can’t get it right, what hope is there for anyone contemplating DIY personal finance? Why ‘do-it-yourself’ when the consequences of making a mistake, or a poor decision, or missing something completely can be so costly? Don’t get me wrong. 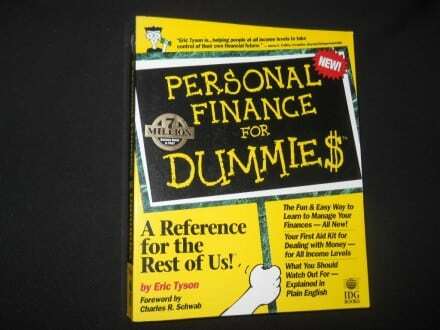 Not everyone needs personal financial advice. Some people have straightforward circumstances and others have the time and understanding to take care of basic tasks themselves. But if you’re a high earner, or have significant assets to manage, or have family complications and/or trusts to consider, then I’d suggest that advising yourself could be a recipe for disaster or at best a history of missed planning opportunities. Planning for your financial future requires a good working knowledge of regulation, economics, law, tax, risk and the technical aspects of various pension and investment options. This is in addition to considering equally important soft factors such as suitability, emotion, psychology and behaviour. The likelihood is that if you pull one lever in your financial plan, another lever moves somewhere else. You may have read something that makes you think you fully understand a certain aspect of your finances, but the reality is that isolated examples are very different from the interconnected real world of finance. You probably need an expert to help you appreciate this. Ever built a marble run? You know, a course of tubes and bridges that kids like to run marbles along for fun. You probably have a picture in your mind now of what I mean. Here’s a video of a marble run. Press play and see what happens. Probably the best and most complicated marble run you’ve ever seen right? It’s my attempt to explain to you that whatever your current idea of finance is, it’s limited by what you already know. A trained professional will see and do things that you didn’t even know were possible. In the law profession, there’s an adage which says ‘The man who represents himself has a fool for a client’. The institution of law is encrusted with barnacles upon barnacles of legislature and precedent which are dangerous to anyone other than a professional with deep training, knowledge and understanding. Go it alone and jail time or financial loss surely follow. But it is not only in law that this phrase rings true. You’d see a doctor if you were suffering from anything other than a common cold and no one that I know completes their own mechanical car service. The risks of getting it wrong are just too high. So why, when dealing with finance, do some people choose ‘do-it-yourself’ rather than hire the services of a professional adviser? Issues with trust? Maybe. Or with evaluating value for money? Also maybe. But it’s far more likely to be the ‘Dunning Kruger Effect’. The feeling that I’m capable of doing it just as well if not better. The Dunning Kruger Effect is a cognitive bias in which people mistakenly assess their own ability as better than it actually is. It’s often not until someone gains real knowledge, or experiences a poor outcome, or comes into contact with expertise that they realise how little they actually know. Think about those X-Factor contestants you see who do so badly at the initial audition. In their own minds, they’re the best in their home/school/town, until they come up against real talent and the judges who know how to spot it. To expand on this further, here’s a short summary video from TED. So, even though you might be really smart and a leader in your own field of expertise, your paying of attention to global news and finance, reading of the Sunday papers and possibly a book here or there is not going to be enough to put you on par with a qualified financial professional who does it every minute of every working day. When you are dealing with financial plans that might not come to fruition for decades from now, and especially when dealing with wealth that, over time, could reach hundreds of thousands if not millions of pounds, errors could turn into a very expensive mistake. Don’t risk falling foul of ever-changing financial legislation, or by missing out on your annual tax allowances, or by taking too much or too little risk, or by underestimating the long-term effect of a 1% versus a 2% total cost on your investment assets, or by placing too much faith in past performance, or by not understanding the difference between Large Cap UK Growth and Small Cap UK Value funds (they’re both just UK equity right?) or by making portfolio changes when you should be doing nothing. The list goes on and on and on. It’s inconceivable to me that someone like Aretha Franklin (RIP) could pass away without a Will. Likewise, Prince. Two years on and the likely beneficiaries of his estate have not received a penny. Get an adviser. Especially if you have unique planning needs, above average income or assets which suffer from higher levels of taxation and investment limitations. The benefits of planning will far outweigh the cost in the long run.